I love the Clinique take the day off cleansing balm and have gone through multiple smaller sizes of it so I finally decided to bite the bullet and pick up the giant 125ml tub. This is a balm cleanser which turns into oil once it comes into contact with the heat of the skin. This removes every last trace of makeup and leaves the skin feeling super clean but not feeling like everything good has been removed. Due to it being a balm cleanser it also makes it perfect for drier skin types as it adds a little moisture at the same time. 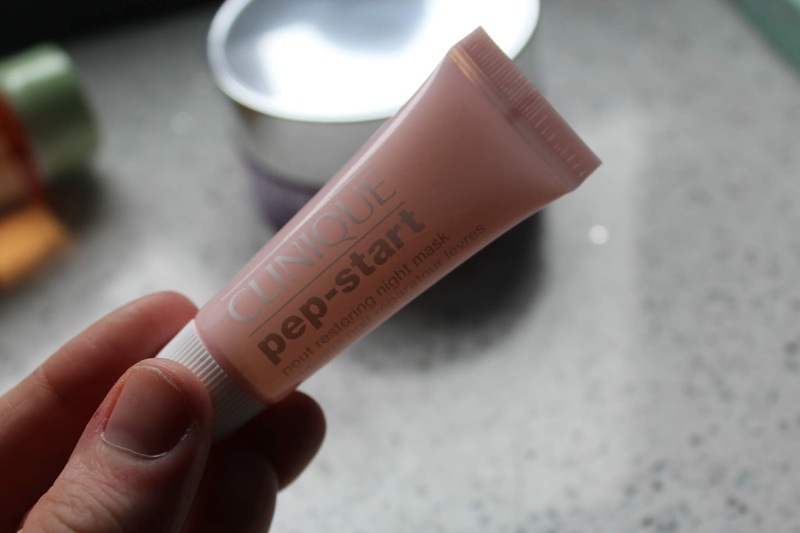 If you're a regular reader of my blog you will know I have a bit of a lip balm obsession so while I was at the Clinique counter I figured I would give the Pep start night mask a go. This is an incredibly thick glossy balm which is definitely not made for putting lip colours over the top of as it tends to make them move around as it's so glossy. I love to wear this in the day when my lips are feeling super dehydrated but I tend to reach for it more as a night time treatment. I apply a really thick layer before bed and I find that by the morning I still have a tiny bit of product on my lips. 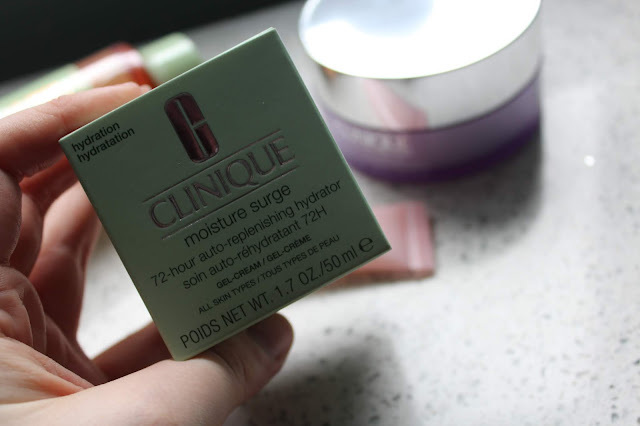 The Moisture surge 72-hour moisturiser is another product I loved when I tried the sample of but never got round to using it so when I finished up my moisturiser I decided I was going to pick this one up again and it's honestly made such a difference to my skin. It is no longer super dry, although it hasn't stopped me getting dry patches at all they aren't as uncomfortable, flaky or half as annoying as they used to be. The final product in today's post is something I have wanted to try for such a long time and a product which is loved in the blogging community. Obviously I;m talking about Pixi's glow tonic. I really loved the Alpha H liquid gold so I knew I would enjoy this. I find this is a little more gentle than the Alpha H which for my drier skin is better. That being said I don't see as obvious results with this one. I would definitely stick to this one however as it doesn't irritate any dry patches like the Alpha H one can sometimes do. That's it for today, I would love to know if you've tried any of these products and what you thing of them. 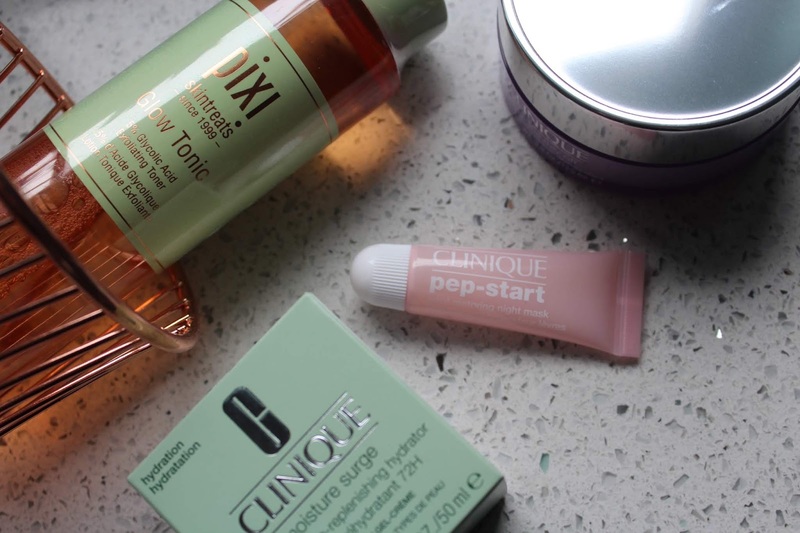 It's been a while since I've purchased anything from Clinique but I used to love their skincare range. I've heard amazing things about the Cleansing Balm. 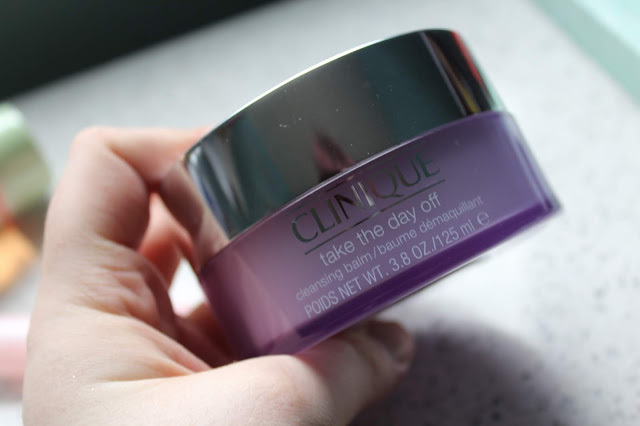 I adore the Take The Day Off Balm, such a stunning product! I can't get enough of PIXI right now! 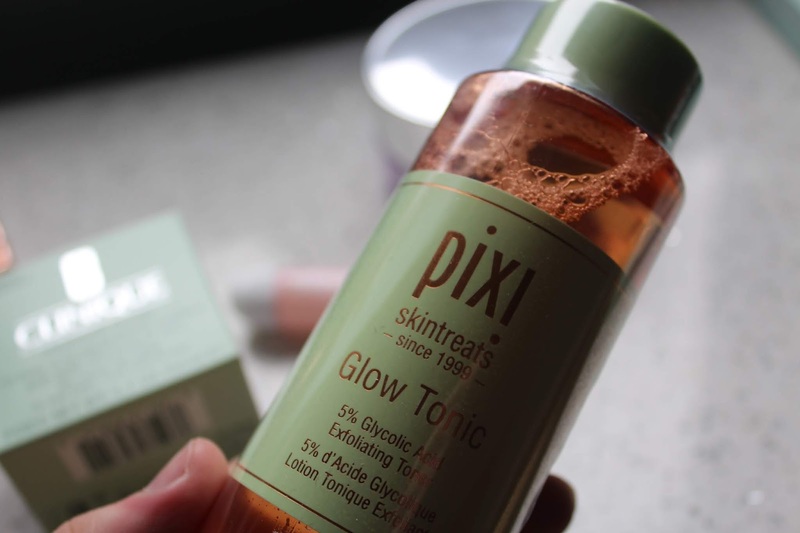 I love Pixi Glow Tonic - I couldn't be without it! I haven't tried the Alpha H one though!